Organizational Support - Requests up to $250,000 depending on organization’s budget size. Project Support I - Requests up to $175,000 by organizations. Project Support II - Requests up to $30,000 by organizations or sponsored projects. First-time applicants may request up to $10,000. Project Support III - Requests up to $20,000 by sponsored individual artists or unincorporated groups. First-time applicants may request up to $10,000. 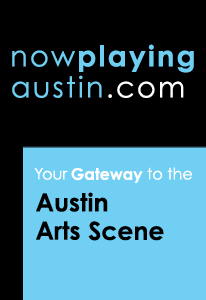 Applicants must be incorporated, tax exempt organizations residing in Austin or its Extra Territorial Jurisdiction and propose programming and projects that are open to Austin residents, visitors, and tourists and are consistent with the promotion and enhancement of the City of Austin as a cultural destination. Other organizations and individual professional artists residing in Austin or its Extra Territorial Jurisdiction may apply as a "sponsored project" under the umbrella of a 501c organization. Applications are due each year on May 1 (or next regular business day). Core programs follow a two-year funding cycle, accepting new applicants for odd-numbered fiscal years. Now accepting new applications from applicants funded in FY19. Optional application workshops will be held throughout the month of April. A presentation on what will be discussed can be found here. Contractors who have never received funding from the City or who have changed their address must register with the City as a vendor. You can register electronically through the Purchasing Department's Vendor Connection website. Sponsored Projects will use their Fiscal Sponsor’s Vendor Information. To register for the first time as a new vendor, or for current vendors with a change of address, you must provide a new W-9 Form. All contractors will find their pre-contract materials inside of their ZoomGrants.com account for the current fiscal year. Items included are the pre-contract checklist, the Insurance Information Form, the Mandatory Publicity Statement, various CAD Logos, and Instructions for submission on NowPlayingAustin.com, among many other helpful and required documents. If you need assistance, please contact your Contract Administrator or another staffer on the Cultural Arts Funding team. You may email us if you require a logo file in a high resolution format.